A New Chief for Gwapala – This story deals with egoism that lies deep within every man and how an astute African chief tested his men in choosing his predecessor. Three men volunteered to explore the jungle and returned with gifts suitable to prove their courage. What the Moon Leaves Behind – Myatu lived in one of Africa’s most prosperous villages but was yet unhappy. Being crippled, she had been shunned all her life; even passed the age of marriage. Her grandmother’s love was hardly enough for a young woman who witnessed all the girls her age become someone’s wife. Then one day, fate comes in a form of an old man and Myatu’s heart is tested. Songs of the Pepper Birds – From the experience of his past, Oldman Jallah shares with Kaimu what life can sometimes throw at you; the intense struggle between what is easy and what is right. “A man must give an account of his deeds, no matter how painful,” he tells Kaimu. “Doing the right thing is worth every bit of personal sacrifice.” Kaimu is left to choose whether or not to confront his pregnant girlfriend’s father without the means to pay the dowry. 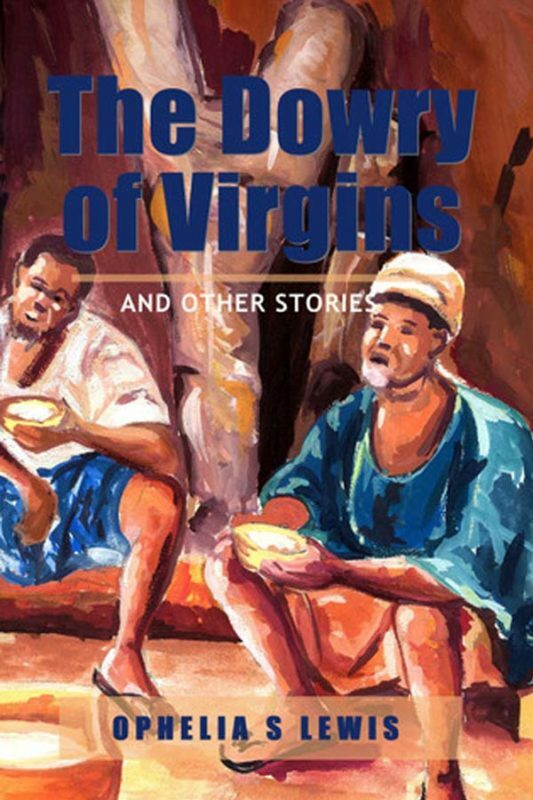 The Dowry of Virgins – Life was pleasant in Twoku Village until an ugly gossip started about the daughter of an important elder that had been defiled. There would be no report of firing gunshots on the night of her wedding to show that she is a virgin. Now that sorrow and love mingled at his doorsteps, how is Josef Yeke supposed to show his face? Obikai’s Heart – At his mother’s persuading advocacy for family ties, after nine years Quonah returns home to seek his father’s forgiveness in convincing him that not every African man wish to partake in the tradition of polygamy. He fell in love with just one woman, Obikai, who happens to be betrothed for his father who had already married several wives. Common Threads – This story deals with the cultural solitude of a young woman forced into marriage. Caught between her desire to go to school and following tradition, going against her father’s arrangement meant Aketi would have to find a new life elsewhere without the support of her family. First, by her denial of her father’s honor among their people. Cries of the Pepper Birds – This story describes a day’s adventures in a little pepper bird’s life. Korlu refuses to learn to fly. Then one day when the family’s nest is destroyed by a strong wind, she finds herself in unexpected situations that stress the importance of learning life’s basic responsibilities.